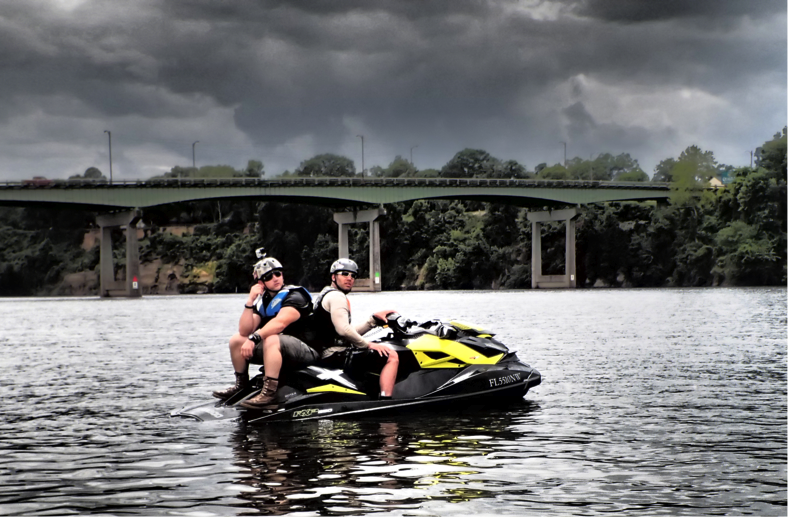 Anthony Radetic is a wheelchair-bound Service Disabled Veteran who, in early September, will partake on a 1,600 mile six-day adventure ride for fallen soldiers from Key West, Fla. to New York City, NY on a Sea-Doo RXP-X 260. Radetic, an avid Sea-Doo owner, will be the only rider participating on his own personal watercraft, the Sea-Doo RXP-X 260. Radetic has a long history of extreme activities and is an American alpine skier and veteran of the United States Army. A Spinal Cord Paraplegic due to injuries received in Fort Rucker, Radetic uses a sit-ski in competitions. While in advance course training at Fort Rucker, Radetic was struck by a motor-vehicle while on his motorcycle that left him paralyzed. He sustained a spinal cord injury at the C2, C3, T7 and T8 levels. He remained in critical care for 40 days. Six years after his injury, Radetic tried skiing for the first time at a sports clinic in Snowshoe West Virginia. In 2012, he moved to Aspen Colorado to begin training seriously for international alpine skiing competitions. While training in Aspen, Radetic was filmed by Warren Miller crew while he landed his first back-flip on a mono ski, joining a select few. Radetic also competes in various handcycling events; in 2007 he took 1st place in the Costa Rica Tamarindo Marathon, 2008 he took second place in Chicago marathon and 1st place in the 2013 US Army first full marathon in Texas. This is the first on-water event that Radetic will be participating in. The Sea-Doo blog team will be working in conjunction with Radetic to chronicle his journey and trip. Stay tuned to the OnBoard blog for video updates during the six day journey.